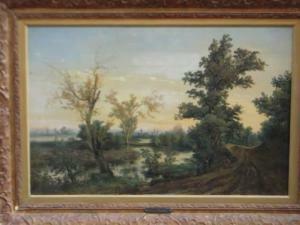 Find artworks, auction results, sale prices and pictures of Edouard Jean Marie Hostein at auctions worldwide. 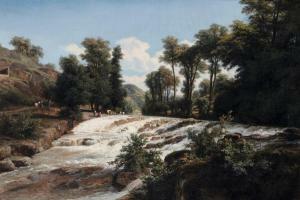 Edouard Jean Marie Hostein - Pully. 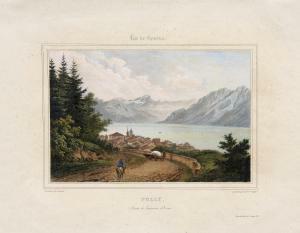 Route De Lausanne À Vevey. ÉDOUARD HOSTEIN Pully. Route de Lausanne à Vevey. 1830 Bella e rara litografia con coloritura coeva di questa veduta del lago di Ginevra con le Alpi sullo sfondo. Qualche fioritura e lievi bruniture. 34 x 43 cm Beautiful and rare lithograph with contemporary coloring of this view of Lake Geneva with the Alps in the background. Some spotting and light browning. 13.39 x 16.93 in. 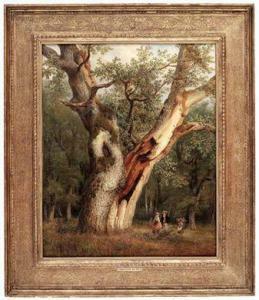 Anonymous sale; Sotheby's New York, 31 October 2000, Lot30. with Berry Hill Galleries, New York.